Sticky notes is an inbuilt tool in windows 7, you can easily write your notes and daily task right to the desktop. 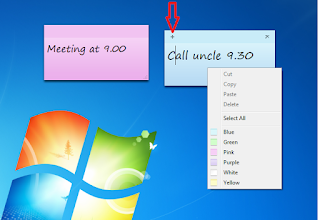 The best thing is you don’t need to making save files, you can add multiple sticky notes on your desktop without doing any extra things.. Here is how to use and some shortcut keys. 1. 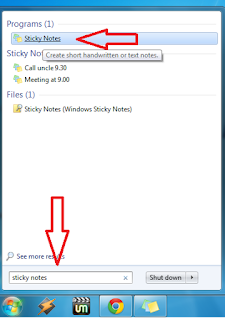 Click on start button and type “sticky notes” click to open. 2. 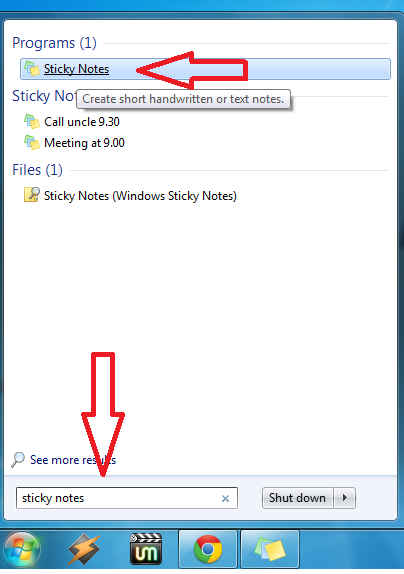 Type your notes and reminder, click on “+” to add new sticky note, to change color right lick on notes.